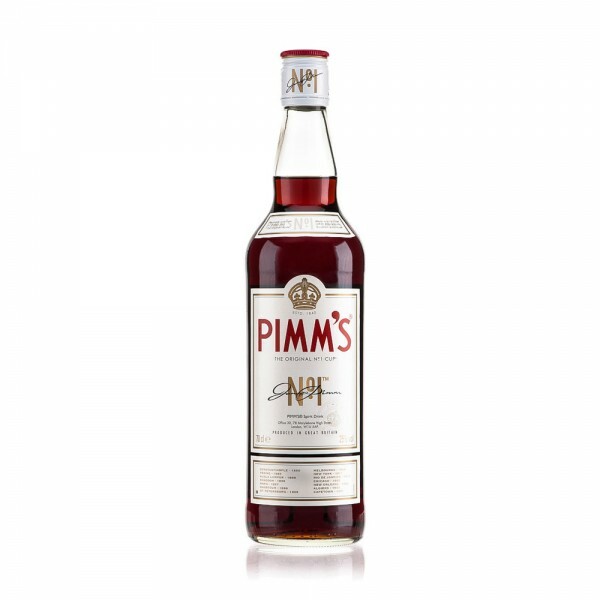 Created in 1823 by James Pimm at his Oyster Bar in London, Pimm’s No.1 is a herbal fruit cup based on a Gin recipe and was originally intended as a cure for digestive problems. Each cup was served in something similar to the tankard cup, which in those days was known as the 'No.1 Cup', hence the name. Serve 'British Style' by mixing with lemonade, fresh apples, cucumbers, oranges, strawberries and mint. This is Britain's iconic summer drink.